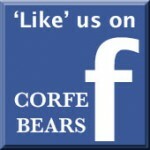 Corfe Bears > Charlie Bears > MINIMO HAREBELL 6.5"
HAREBELL is part of a new mini series of miniature mohair bears that are all only 6½" (17cm) in size and are made in beautiful girlie colours and each one is adorned with a tiny floral crown. 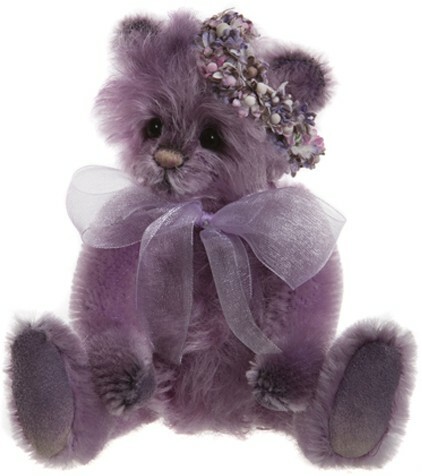 As they are in the Flower Girls Series, each bear is named after a flower. The Harebell flower has pretty bell-shaped petals that are delicate in appearance and are blue/lilac in colour. HAREBELL MINIMO has been created with her flower in mind and so she is made from a delicate shade of lilac mohair that is long and whispy on the tummy and head, while the legs and arms are a shorter pile fur. She has dark twinkling eyes and a small hand-stitched nose and mouth. Her beautiful floral crown has pretty flowers in lilac, pink, white and brown and she also has a delicate lilac organza ribbon. Harebell is just stunning and she will be a real talking point in any collection - so order quickly if you would like her, as she will be highly collectable, as there are only 600 worldwide!! Harebell Minimo is a fully-jointed, miniature mohair bear from the Charlie Bears 2019 Minimo Collection.